Trackers is a story many middle grade readers will engage with immediately. At first readers’ interest may be more curious - There’s movies? Online? With the story? - but the story itself will quickly surpass the curiosity. Kids who have read Patrick Carman’s Skeleton Creek books will be familiar with the format, but Trackers is less spooky, more tech-y, with equal amounts of tension and anticipation. Trackers is told in a conversation - an interrogation, really - between an apparent government official and Adam Henderson. Adam explains that he and his friends Finn, Emily, and Lewis are trackers in the same way as old-time mountain men who could track lost hikers in the forest. They just do it digitally. What, exactly, Adam is being interrogated about is not immediately revealed. Adam takes control of the interrogation, offering his story at his own pace and in his own manner. He explains some things himself and lets video recordings explain others. Videos are given to the interrogator and readers by passwords included in the book at Trackers Interface. Eventually readers learn that billions of dollars are missing for banks around the world, and the Trackers are the main suspects. How did a bunch of sixth graders get so technologically savvy? Adam’s father owns a computer store in Seattle. On Adam’s ninth birthday his father gave him the Vault, a backroom in the store and permission to use anything that gets left behind. 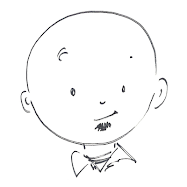 Adam started to tinker, create, and learn. He was a technological prodigy: “Mozart with a mouse.” By fifth grade the vault had become a network of monitors, keyboards, and computers running complex software and hidden surveillance cameras, and helping Adam make tons of virtual money which he in turn used to purchase more complex equipment. In sixth grade Adam met Finn, Emily, and Lewis, and the rest is history. Trackers is heavy on technology which will attract kids who spend a lot of time online but won’t scare away kids who don’t know an IP address from a PO box. Everything is explained sufficiently without sounding like a computer programmer’s textbook. Readers will be fascinated by how Adam and the Trackers use cameras and computers to monitor the world around them and interact with one another, and readers will become more interested when they realize that the Trackers could possibly be “out-tracked” by mysterious adversaries. Once again readers become participants with another multimedia series from Patrick Carman. With Skeleton Creek it was videos recorded by main character Sarah and an online message board debating reality vs. fiction. The 3:15 iPhone/iPod app has readers listening to audio, reading text, and watching movies. Another book/app, Dark Eden, is scheduled for release this fall. 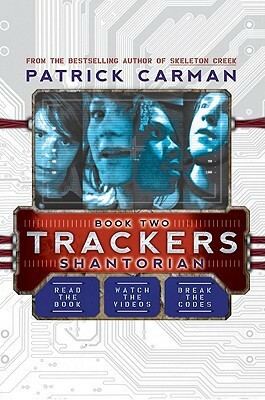 The covers of the Trackers books say, “Read the book. Watch the Videos. Break the Codes.” Trackers includes video recordings of important events, given to readers one by one as Adam makes them available to the authorities. Readers can see additional videos, participate in online discussions, and complete missions to reveal even more information about the characters and gadgets at the Trackers Book Website. 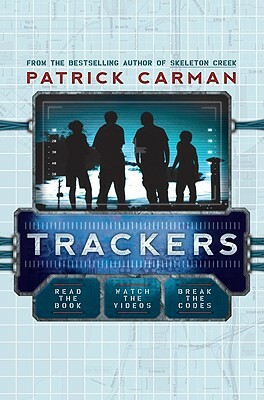 Trackers is a great series for upper elementary and middle school students. Just make sure there’s a computer available to readers (although transcripts of each video are included in the book). The Trackers Interface site also has a mobile version, so students with iPods and wi-fi access can also view the movies. The run-up to Father's Day is nearly over. My latest column is all about how the dads of the world can enjoy their day ... and then begin planning for Mother's Day. Unless my proposal is accepted by the holiday authorities, whoever that may be. Here's a link to the original column on the newspaper's website or you can just keep reading below. Thanks for visiting and thanks for reading. Father’s Day is still nearly a week out, but I’m sure I can say Happy Father’s Day to all the dads out there anyway. Dads, your day will assuredly be filled with family appreciation, thoughtful gifts and uninterrupted time to do guy stuff. Families show their Father’s Day appreciation for dad in any number of ways. Could be a favorite breakfast or fresh, dark coffee in a new mug. Maybe a hand-painted, poster-sized card with “We Love Dad!” decorating the living room. Gifts are always thoughtful, and I’m convinced the legend of the gaudy tie for Father’s Day is a myth. I’ve never received a tie for Father’s Day. Never. We receive thoughtful gifts, each dependent upon the talents, joys, and hobbies of the individual dad. Fathers find tools or outdoor equipment or books or items with small engines that produce big noise, exhaust, and toothy grins. Our families give us time to do guy stuff. 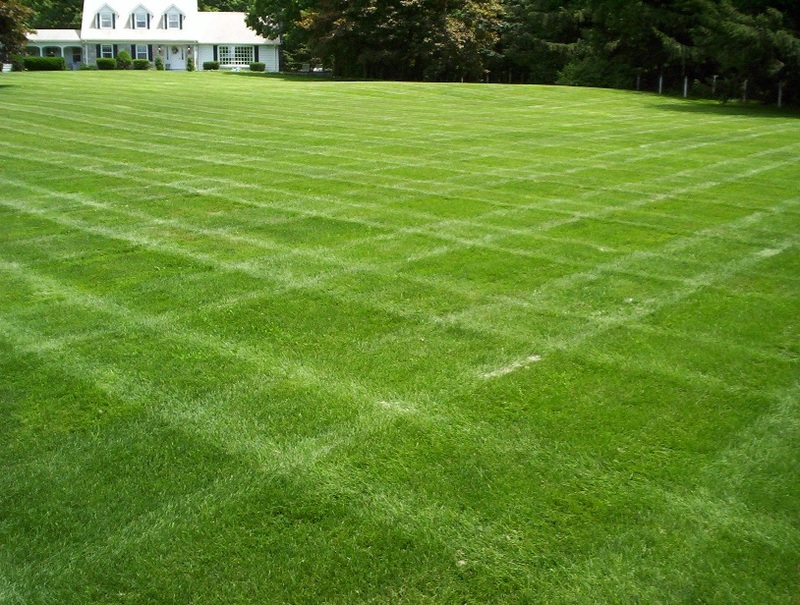 If you feel the lawn needs mowing, slowly, you got it. If the lawn would benefit from your bare feet admiring its freshly cut blades up close, no problem. This Father’s Day the Brewers are playing in Fenway Park. Fenway! Even if the family doesn’t understand the significance of Fenway Park, they’ll grant you three hours to bask in baseball in the shadow of the Green Monstah. These things I know without doubt, and they hold true for only one reason: Moms are in charge. If fathers were in charge of Father’s Day, it would probably look a lot like, well, Mother’s Day. Fathers forget. Mother’s Day sneaks up on us every year just like anniversaries, Christmas, and kids in cotton socks. Yes, these things happen with startling regularity, but dang it all if ain’t the second Saturday in May and the best idea I’ve got is a new coffee pot. That’s why I’m proposing a holiday exchange. A Sunday swap. A Mother’s Day / Father’s Day flip-flop. This way dads would get their day in May and with it a one month countdown to Mother’s Day. You like your day in the yard, Dad? You like that breakfast omelet with cheese, ham, sausage, and bacon with Tabasco sauce on the side? Let it be a reminder: You got one month to Mother’s Day. I understand, dads, that this proposal comes with added pressure, and I know there’s potential for many of us to crumble under its weight. But truly there’s nothing like a great Father’s Day to remind us of the one thing that makes Father’s Day so spectacular. Mothers. I’m not sure who to petition - Hallmark maybe? - but right now it’s important to get the word out and let the momentum build. Let Father’s Day fall in May, and let it begin the 30-day countdown to Mother’s Day. The switch not only provides fathers sufficient notification, but also contains the potential for perfect symmetry. Consider, if any dad forgets Mother’s Day now, Father’s Day will have a May Day just before -- and a “Mayday!” shortly after. So let’s make it happen, dads! Until then, consider this your eleven-month warning. I tend to like series books, much like many young readers. A new book in a favorite series is like a blanky fresh out of the drier: it’s still comfortable and familiar but there’s a new warmth and freshness inviting you to snuggle on the couch. But I don’t generally reread the previous books before curling up with the latest title. The Kane Chronicles, The 39 Clues, the Penderwicks, Alex Rider, Diary of a Wimpy Kid - I love them all, but I didn’t reread them to prepare for the next installment. There are exceptions, however, and the exceptions are exceptional. The Hunger Games is the most recent. Harry Potter before that. The Giver and Gathering Blue before the release of Messenger. And now The Wingfeather Saga. Readers met Janner, Tink, and Leeli Igiby in On the Edge of the Dark Sea of Darkness. Their adventures both fighting and fleeing the Fang minions of Gnag the Nameless continued in North! Or Be Eaten! Now comes The Monster in the Hollows. The Igiby children and their grandfather, Podo, are headed with their mother to her homeland. The Green Hollows is where Nia grew up, and just off the coast is the Shining Isle of Anniera, the ancient kingdom still smoldering nine years after its destruction. In the Green Hollows the Igiby children find the closest thing to a home since leaving their cottage in Glipwood. There’s a home, a school, classmates, and neighbors. And peace … sort of. While the Igibys are no longer running for their lives, they still can’t find peace. There are suspicious looks from curious Hollish people, difficult lessons learned in school and life, and the mysterious cloven - beasts of the forest - boldly entering the towns of the Green Hollows in ways they never have before. But what is the monster in the Hollows? The possibilities grow in number along with the pages. Is the monster one of the new residents of the Green Hollows, the Igibys? Is it the cloven leaving the safety of the forest to seemingly terrorize the Hollish folk? Is the monster unseen, like jealousy or greed or hatred or fear? One could make an argument for all of them, but it’s the unexpected monsters that leave readers waiting (im)patiently for the final installment, The Warden and the Wolf King. I know I’m placing The Wingfeather Saga in rarefied air, and I know many will question my judgement. 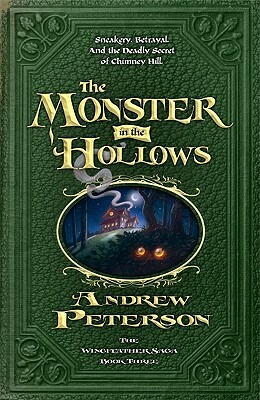 How can someone put Andrew Peterson’s books in the same company as Hollywood buzz and celebrity casting (The Hunger Games), bajillion copy sellers (Harry Potter), and Newbery Medals and the canonical works of children’s literature (The Giver)? It’s a fair question. But even though Mr. Peterson is a relative unknown in the world of children’s literature, he has pulled me into Aerwiar just like I was pulled into Panem, Hogwarts, and Jonas’s Utopian society. And that’s sayin’ something. Movies, sales figures, and awards aren’t hugely important to readers. It’s the books that stay fresh in your mind long after you’ve finished reading that truly make a difference, and The Monster in the Hollows and the entire Wingfeather Saga have a lasting impact indeed. And I can't wait to reread them again.